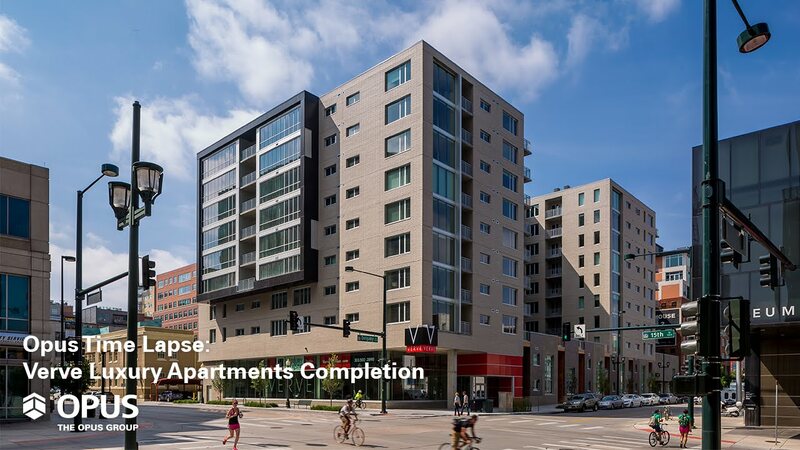 This summer, Opus, in partnership with Amstar, completed construction of Verve – a luxury high-rise apartment complex in downtown Denver. The 10-story building includes 285 residential units with upscale amenities and 4,000 square feet of retail space on the ground level. Located across the street from the Museum of Contemporary Art and just blocks from Union Station and the Pepsi Center, Verve is in the ideal location for residents with a dynamic urban lifestyle. The transit-oriented development is also near public transit and pedestrian options such as the Cherry Creek Trail.